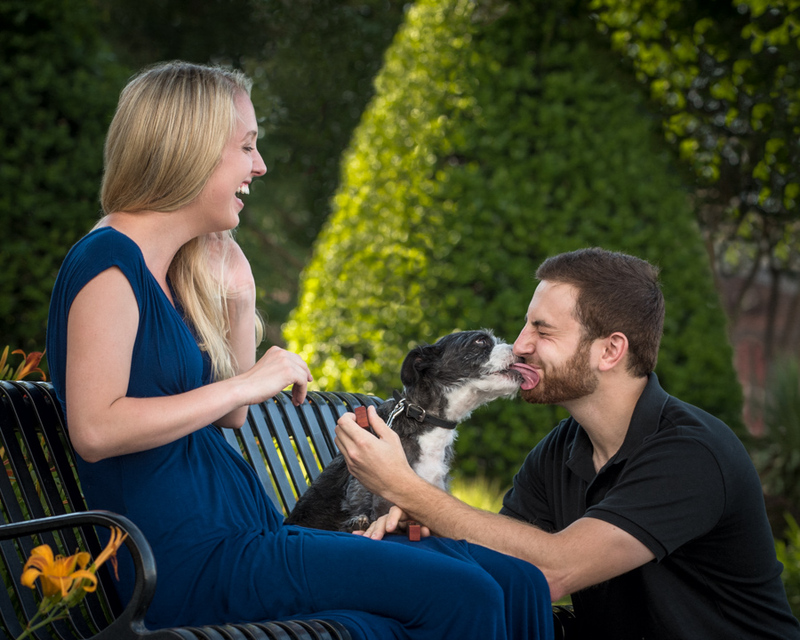 When Zach first contacted me and told me that he wanted to propose to his girlfriend during a photo session with their dog Flip, I could not have been more excited. 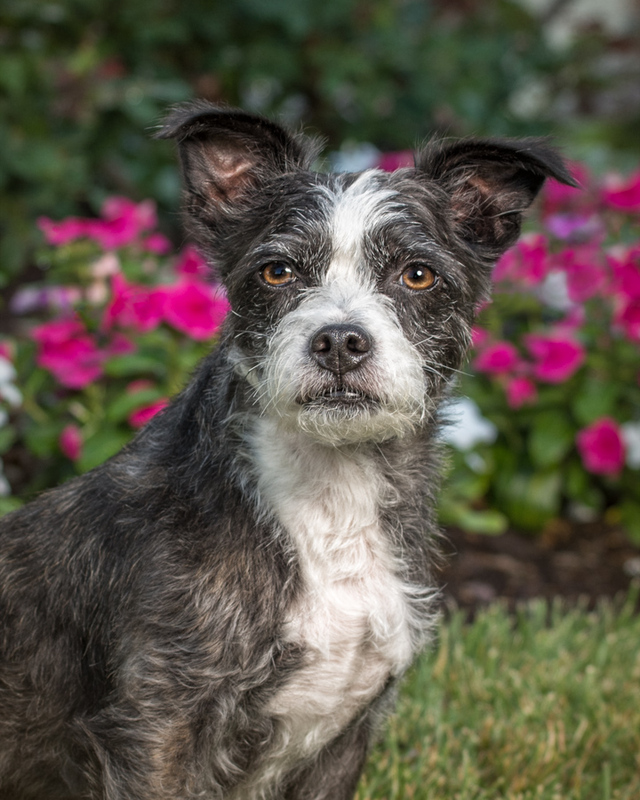 The only thing I love as much as photographing pets is planning a surprise. 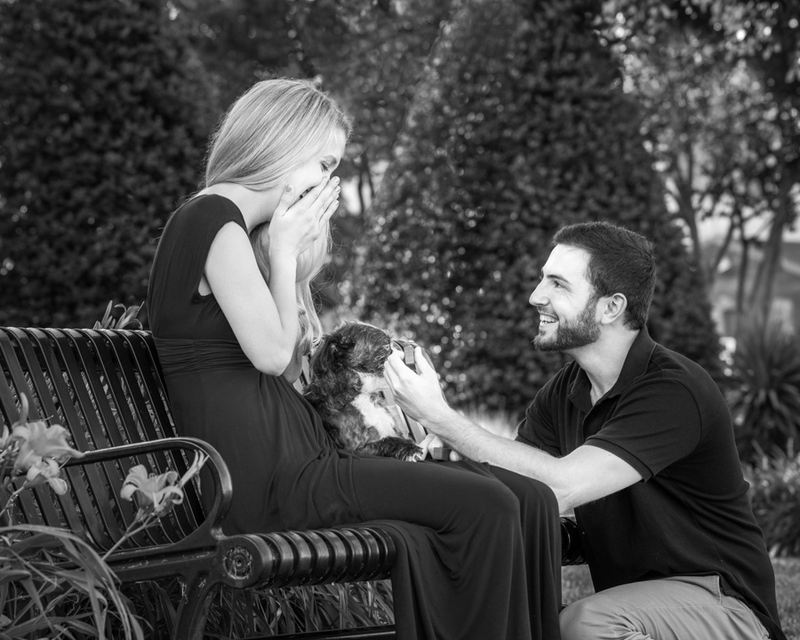 And what better surprise is there than a young man popping the question to the woman he loves? We decided to meet ahead of time to scout the location and go over all of the details. Zach had chosen a park along the Alexandria waterfront where the couple had gone on their first date. We scouted a number of locations around the area and settled on a nice bench under a big tree where Christine could sit in the shade. Together we discussed how the session would flow, and how we would clue each other that it was time for the big moment. Christine knew about the photo session with Flip, but obviously not about what was really going to happen. I wanted to make sure I was ready to capture that once in a lifetime moment, so we tried to plan every little detail and to be prepared for anything unexpected. As the chosen date neared, Zach and I closely watched the weather. Summertime in the DC area can bring extremely hot temperatures along with high humidity and afternoon thunderstorms. The day of their session was filled with all three. Luckily, the storms passed through before the session was scheduled to start. It was still in the 90’s, but Zach, Christine and Flip were all troopers. With the wonders of modern photo retouching, I wasn’t worried about being able to remove any sweat or shine from their faces. We started the session just as I would most family portrait sessions. We did a variety of poses of the couple with Flip as well as some of just Flip. Once I felt as if they were relaxed in front of the camera and we had gotten some good shots, we moved to the chosen location for the big moment. Zach had done a great job of keeping Christine in the dark. She was obviously surprised when he got down on one knee and pulled out the ring. Her reaction was priceless! But apparently Flip did not think she was responding fast enough, so he took it upon himself to say “yes” for Christine, in the way of a big kiss for Zach. I think this is probably one of my favorite images of the whole session. I couldn’t have scripted it any better if I had tried! The couple was all smiles for the rest of their session. 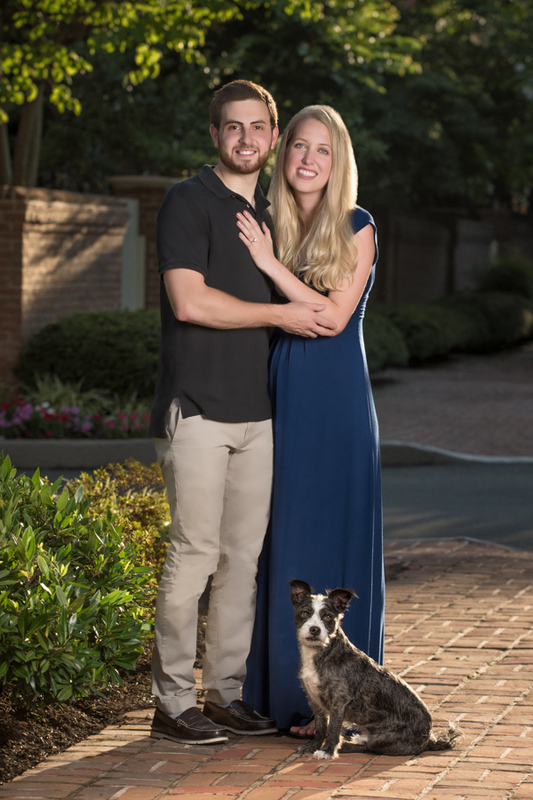 We finished up with a few more shots to show off the ring as well as a couple more of Flip before the happy couple went off to enjoy their engagement dinner. I am so grateful to Zach and Christine for allowing me to commemorate their special moment. For me, the best part of being a photographer is helping people preserve memories that they will cherish for life. I think this ranks pretty high up there among my all time favorite photo sessions! 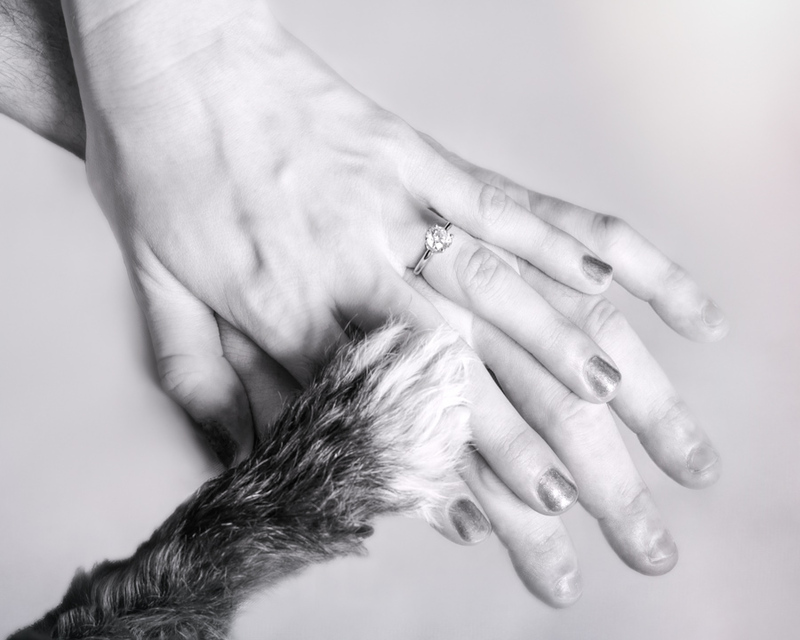 This entry was posted in Photo sessions and tagged Artful Paws Photography, black-and-white-dog, dc-dog-photography, dog photography, dog picture, engagement photo, pet photographer, pet-photographer-va, pet-photography-va, photo with dogs, VA dog photographer, VA pet photographer.